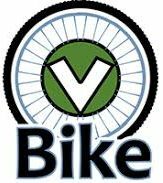 Transportation is the fastest growing greenhouse gas emissions sector in Vermont, representing almost half of the state’s total greenhouse gas pollution. While the rural nature of the Green Mountain State means that many Vermonters rely on their cars to get where they need to go, there are opportunities to expand other transportation options. Energy Committees and volunteer groups can help reverse the growth in greenhouse gas emissions by identifying ways to encourage more use of mass transportation options. Creating convenient and affordable travel options (i.e., biking, walking, taking the bus, vanpooling, riding the train and carpooling) is essential to reduce our reliance on volatile fossil fuels and creating vibrant, resilient 21st century communities. Planning our community with compact downtown centers and housing where we work and play is also essential to reducing energy costs related to transportation. Below, find links to organizations and resources that can help you tackle the transportation and land use issues facing your community. Find out about the innovative approaches, initiatives, success stories and strategies to foster transportation efficiency and walkable, bikeable, compact communities. The primary goal of Hinesburg Rides is to minimize the number of single-passenger trips in cars and establish a connected and sustainable community. There are three components to the program that address multiple transportation needs: a volunteer driver program for elderly and disabled individuals, ridesharing, and the employer partnership/ public transit program. 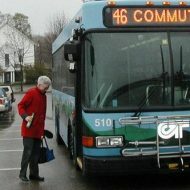 From 2008- 2011 the volunteer driver program provided 360 rides for 70 residents. Local business NRG Systems committed to providing the town’s matching capital costs of obtaining two, 28-passenger buses. Hinesburg Rides also helped catalyze a new commuter bus route from Middlebury to Burlington along Route 116 which has been active for five years. Read more on the Community Energy Dashboard. Plug-in electric vehicles (EVs) continue to grow in popularity in Vermont. Auto dealers are offering new and updated models and adoption rates are outpacing the introduction of hybrids. Vermont charging station infrastructure continues to develop and inspire greater range confidence in EV owners. Local energy groups have helped organize and participate in numerous events featuring EVs. Hosting an event in your community is easy. Display an EV at a community event, such as a farmers market. Create an EV-focused event, such as an EV demonstration with test drives/rides, workshops, etc. 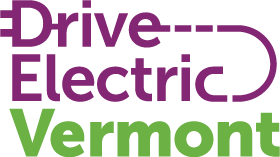 Check out the Electric Vehicle Planning Resources provided by the Chittenden County Regional Planning Commission and Drive Electric Vermont. These tools include infrastructure planning guides, charging station information, and far more to help your community prepare for the future of transportation. Visit the DEV website for basic information on EVs, cost savings, comparisons of models, information on public charging stations, testimonials from Vermonters, and more. 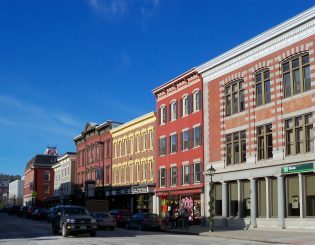 VECAN is the network of over 100 Vermont town energy committees and the organizations that support them. Town energy committees are leading a powerful grassroots response to the pressing need to be more energy efficient and generate more in-state renewable energy while reducing greenhouse gas emissions.